Creativity and innovation are both words we use a lot at IVE but what is the difference between creativity and innovation? When it comes to creativity and innovation, one thing is certain; they rely on each other, but they are not the same. To be creative, a person, group or business must be able to come up with new ideas. To be innovative, they need to act on these ideas. Creativity, as the word suggests, is about creation. It’s about using the imagination in order to generate new ideas, a form of expression or finding solutions. Human beings are innately creative, meaning we can all be creative on a daily basis and in all situations. For many, the creative behaviours that underpin our ability to be creative have been unlearned, but they still exist. Too often creativity has been seen as the sole preserve of the arts or those ‘left field’ businesses who deliberately try and do things differently. However, the changing business landscape means that companies are beginning to consider a more creative approach to working and therefore need people who have the capacity to generate ideas or relearn those behaviours that will equip them with that ability. 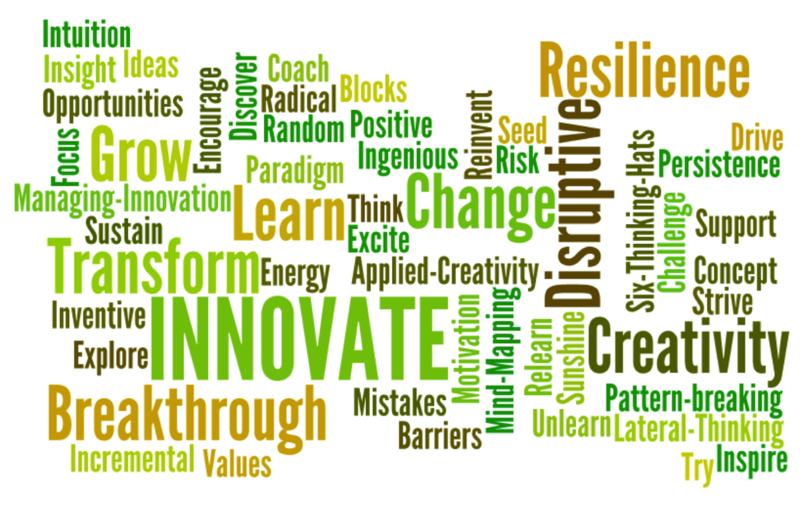 Innovation, on the other hand is about changing a common or long-standing process by improving it. 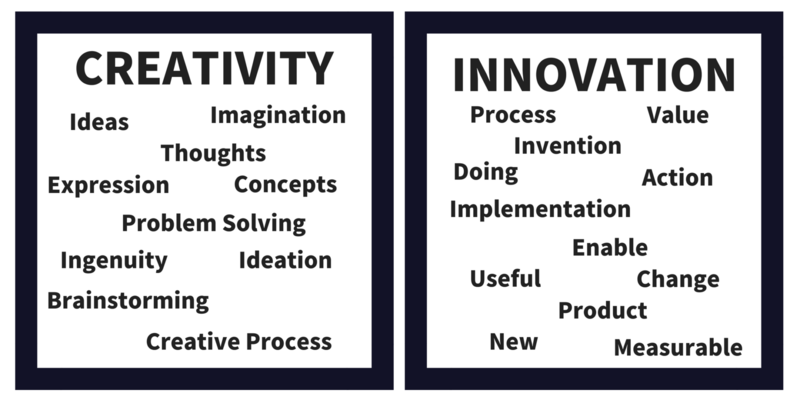 So, while creativity and innovation share strong links, the processes are entirely different. Innovation is about taking newly created ideas and developing them into something useful and practical. In many ways, innovation is the process of converting ideas into action. The most common type of innovation is evolutionary, which means finding ways of making incremental improvements to products and services. This type of innovation carries fewer risks, as it’s generally easier to establish demand for these improvements and to calculate the likely return on investment. However, it still requires a strategic, targeted approach – there’s little point in improving a product in a way that customers don’t value. You start to pave the ground for the next undertaking at point A. That way, all the uncertainty, doubt, and experimentation happens against the backdrop of success to act as your cushion for security. You won’t have (as much) anxiety dealing with the unknowns because your survival isn’t dependent on it. And you repeat the process, over and over again. That way, when one source of success declines and peters out, you’ll be thriving on something else. This really is the only path to sustained achievement. 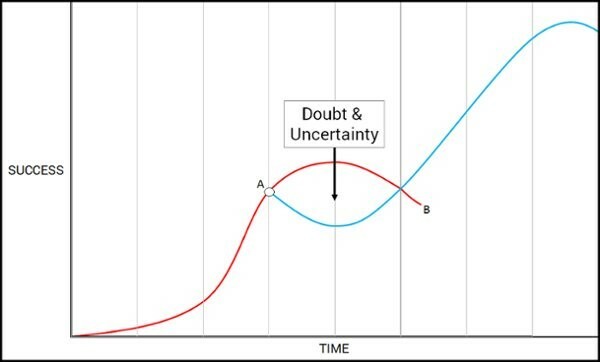 To ignore it and simply hope that you’re the one exception to the sigmoid curve is a bad idea. To constantly exist in this environment requires high levels of creativity and the capacity to translate new ideas into innovative evolution.